Blueprinting, copying, color printing, laminating, scanning, vinyl banners, yard signs, wall & floor graphics, canvas gallery wraps and planrooms with unmatched customer service and competitive pricing proudly serving the architectural, engineering, and construction industry for over 20 years. From presentation boards to bidding & construction to as-builts & signage, we’ve got your solution! Send large files quickly and easily from your browser. Our planroom provides incredibly simple project distribution. View, download, order prints, and track activity. Purchase media, supplies, office products, and other items. Have a question about our services, need a printing quote, or just want to leave feedback? Specializing in construction document & project manual handling, we have the ability to digitally Reproduce or Print your Specs and CAD or Hand-drawn line drawings in black/white & color from letter-size to 36” wide by any manageable length on a variety of media including standard bond, heavyweight coated bond, vellum, Rite-in-the-rain®, Polypropylene, and Tyvek®. Cardboard and Polystrip binding options available. No job is too big or too small. And with a Fast turn-around! Utilizing the latest HP Latex and OCE Colorwave printing technology, we will print virtually any graphic or simple text suitable for Outdoor/Indoor use up to 54” wide by any manageable length on a wide variety of media to produce canvas gallery wraps, vinyl banners, construction site signs, mesh fence signs, sandwich board sign panels, yard signs, clings & see-thru window graphics, floor graphics, removable wall graphics/fabrics, and more! Need weather protection for your print, a rigid substrate for displaying a poster, a finished edge on or ability to hang that vinyl banner? We’ve got you covered with our laminating, mounting, banner hemming, and grommet services! Eliminate those paper document storage folders, cabinets, and vaults by having us digitally scan and archive your old blueprints, as-builts, maps, drawings, and other oversized documents providing you quick and easy access to your indexed digital files for viewing, printing, and sharing with others! *Copyright laws may apply. Since 2008 we’ve provided and managed custom virtual online planrooms for the A/E/C industry. Benefits of our planrooms include Invitation to Bid module option, anytime online viewing, downloading & ordering, activity tracking & auto-generated planholder lists, ability to keep jobs private when needed or public for anyone to access, easy user registration, and much more! In addition, your planroom is supported by an experienced company who has been managing & using planrooms for nearly a decade! Save your company time, aggravation, and money with a custom virtual planroom! Contact us for a full-functioning free trial or to post your job to our Bid-Doc PlanRoom! C.D. Smith has been working with BP Solutions for many years. They continue to meet our expectations in a market that requires last minute requests of high-quality materials. Whether it is plan reproduction, Plan Room development, or high-quality presentation material. BPS has been a great partner for CD Smith. Customer service at its best!! We have been using Blueprint Solutions and their services for many years now. Their professionalism and timely response to any of our needs has been exceptional. The quality of their work and the prompt service that they provide has helped make Capelle Bros. & Diedrich more successful. Scott and his team at Blueprint Solutions are a great resource to have and we look forward to working together for years to come. With our many projects, it is important Agnesian HealthCare and our contracting partners receive print copies and access to downloads in a timely manner. Our needs are always accommodated at the front counter, and the online portal that is easy and efficient to use. We consider Blueprint Solutions a partner in our construction and renovation process. Blueprint Solutions has provided me with impeccable support since 1999. The Drynamics LLC planroom provides instantaneous support for my client base. This specific support is only part of the excellent service as I am continually requiring copies of drawings for revisions or establishing new designs on a regular basis. The drawing copies are always perfect, which reflects on the care taken to insure quality prints. A more trusted establishment and staff would be difficult to find and I highly recommend their services to anyone in the engineering and architectural field. Blueprint Solutions has been a great partner to us for over 20 years, providing excellent blueprinting service. Not only do we depend on them for essentially all of our architectural plan printing needs, but also for large format scanning and project manual printing and binding. They are always willing to meet our schedule, even sometimes on very short notice. The quality is great and always accompanied by a friendly demeanor. Thank you Paula, Scott, and Todd!! Scott and his staff have been a valuable partner to our construction team for many years. Their management of our planroom is very important to our success and they have never let us down. And as for their printing/scanning capabilities their service is impeccable. It is important to work with partners that are not only professional and trustworthy, but also provide accurate, prompt and courteous service. The staff at Blueprint Solutions have accomplished all of these for us on a consistent basis. 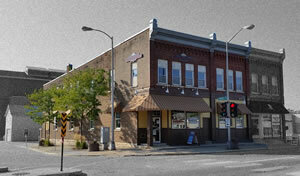 The folks at Blueprint Solutions have always come through for our business needs. Whether it's "freaky-fast" blackline print production, presentation quality mounted renderings or accurately placing our bid packages in their online planroom, they are a one-stop shop. Highly recommended. They also have free candy on the counter! We have been working with Blueprint Solutions for a number of years, I could not ask for a better printing company to work with. They have always been professional, personable and the turn around time is second to none. I could not ask for a better working relationship and highly recommend their services. The best part is same day AND friendly service! We have never had to wait longer than a few hours for turnaround which can be very critical when working with time sensitive bids. The quality and care in their service is second to none. We have a wonderful working relationship. We highly recommend Blueprint Solutions! A vision on its own is not enough. Hard work & dedication are required to make that vision a reality. This is what Scott, Paula and Todd have done for us for many years. Always thoughtful, precise and consistent with all of their work. You will always find perfection with a personal touch, something that only brick and mortar people can do! It is very evident, the detail and attention, they put a personal touch with each piece of work they put out. Truly great artistic skills. Everything is done exactly as you asked. Very hard to find this quality anywhere today. My banner is awesome! THANK YOU for the services you have performed for Stuarts Landscaping through the years! Whether it has been Todd or Paula scanning and printing my landscape blueprints or Scott putting a family portrait of mine on canvas, the quality of both the materials and the customer service has been second to NONE! I have been blessed with the opportunity to work with a wide variety of people and businesses in my profession, and I can honestly say that when it comes to quality product and people, I put Blueprint Solutions at the top of the list! Anyone that enters your office and takes the time to find out what you are about and what you have to offer will surely be pleased with what they find! Thanks again and I look forward to working with you for many years to come!!! We have worked with Scott and Paula since the beginning of Blueprint Solutions in 1996 and have always found the products and printing/mailing services they provide to be outstanding. With the development of their online planroom in 2008 the often burdensome task of getting our plans out for public bidding and tracking has been completely eliminated. Extremely professional and fair pricing for their services. We highly recommend BPS to all who need reproduction of plans, specifications and planroom services. It's always a pleasure working with the great people at Blueprint Solutions, providing exceptional service and quick turn around time for all our needs. We are looking forward to working with you on future projects through out the years! Your service is what sets you apart from the rest!! We truly appreciate and are thankful to all of our customers for your continued support and patronage at Blueprint Solutions! 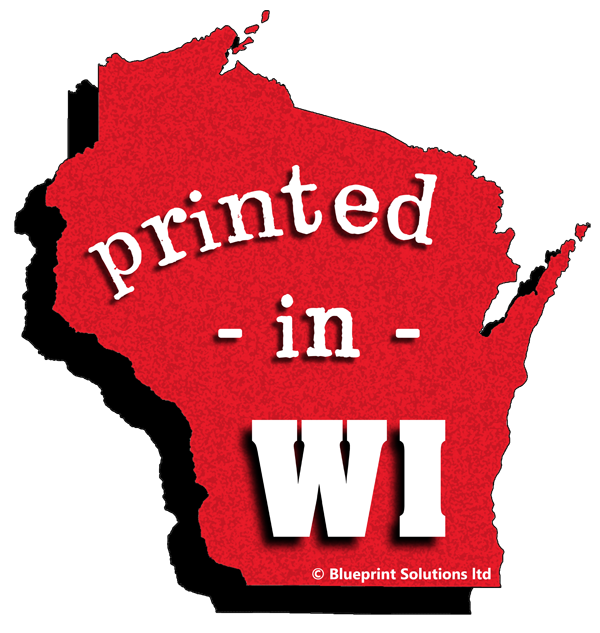 With a background in Architecture and Construction, we are a family owned and operated Reprographics company providing wide-format B/W & Color Copying, Printing, Scanning, Laminating, and Online PlanRoom Management services to the A/E/C Industry from Historic Downtown Fond du Lac Wisconsin since 1996! We strive to provide fast, friendly services at competitive prices that fulfill the everyday demands of our clients while building trust and friendships that last a lifetime! Copyrights © 2019 BLUEPRINT SOLUTIONS, LTD. All Rights Reserved.